Roberto’s work on his Halcyon Nostromo kit certainly is time well spent! Seeing it stimulates people’s interest in model building. We can learn from his responses to comments about the build. He recently hash-tagged one post “#perseverance”, which is a testament to his devotion with challenging model builds. The last time we checked in with Roberto Aguilera, he was recreating the detailed paneling seen on the studio models! He has been very busy since then, as you will see in the photos he posted on the Starship Modeler Facebook Group. Join me now as we go back to November 2017 and work our way to August 2018! ¡Persevera, mi amigo! ¡Los resultados serán fantásticos! 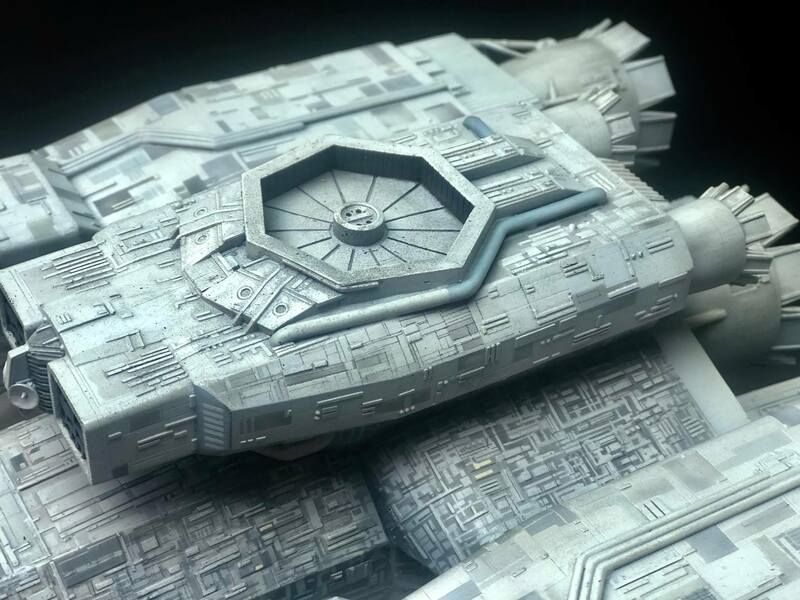 P. S. If you like what Roberto is doing with the Nostromo, check out his other work, including Star Wars models, at Starship Modeler on Facebook. Previous Aaron and the Xeno-hive, with extras from Steam’s Alien: Isolation community.